Sow, you like pigs, do you? 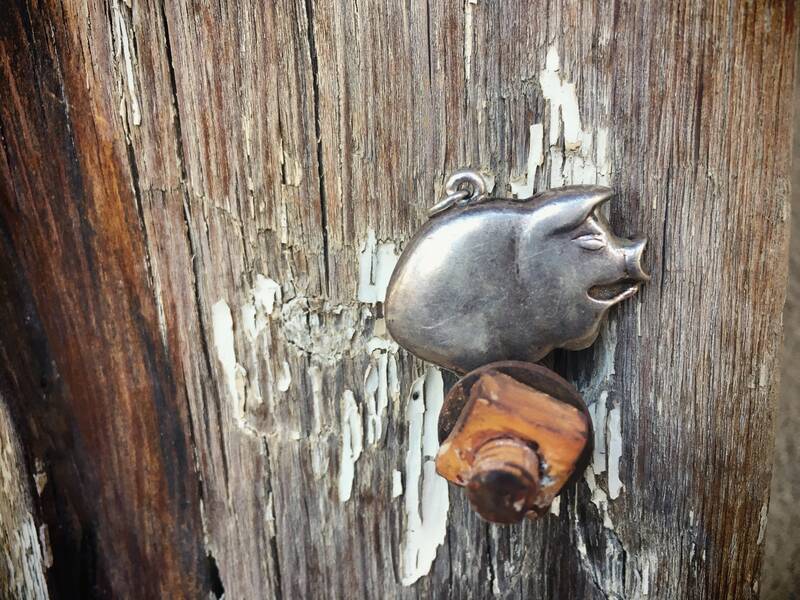 Well, Well you'll love this ab-sow-lutely adorable puffy pig charm that is squat and ever-so-slightly thick. Can be worn as a pendant. The attached jump ring is original and soldered, so if you want to wear it on a charm bracelet you will need to get a spiral jump ring to use, and it will hang lower unless you cut off the existing jump ring. Is a wonderful little guy who will bring smiles, and some would say, possibly good luck. 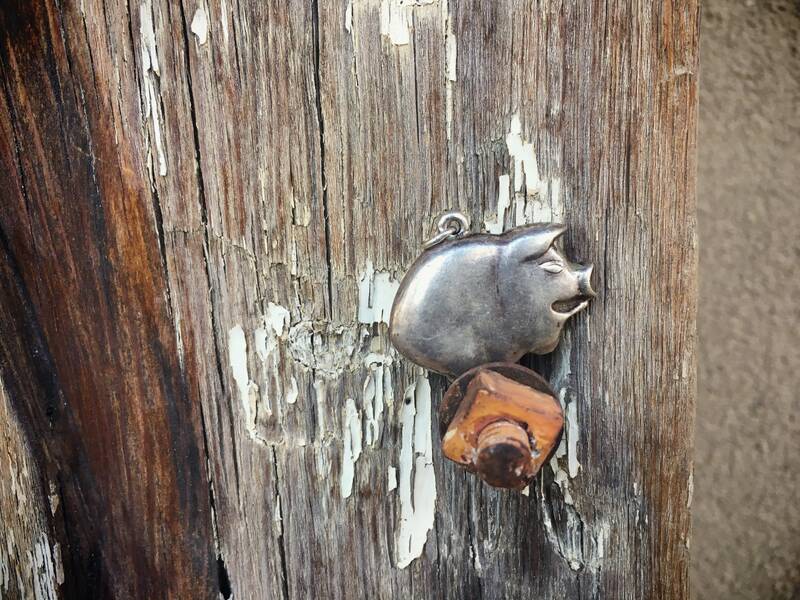 After all, pigs are symbolic of prosperity, richness, fortitude, not mention being pig-headed in running with speed toward what you want. In short, pigs are awesome! 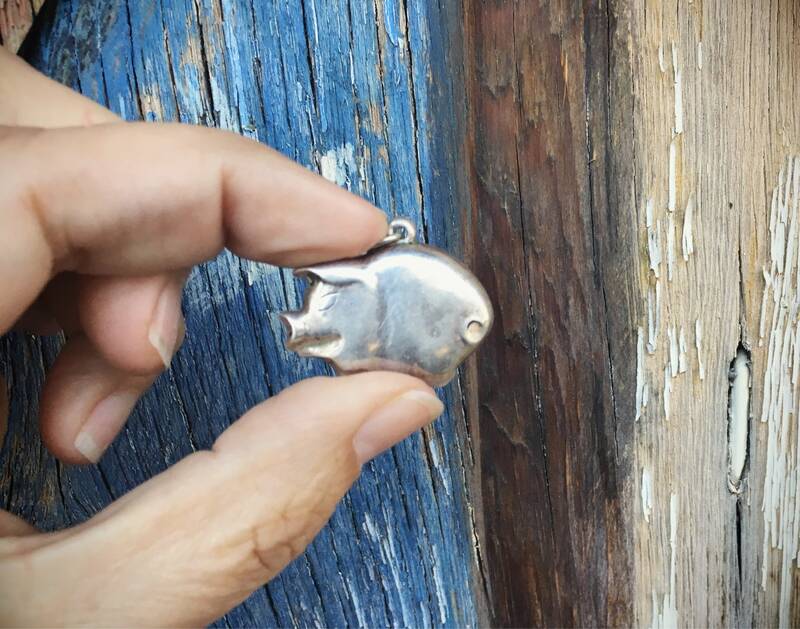 The charm pendant measures just under 1" tall including the eye hook (not the jump ring) by 1-3/16" and 3/16" thick. Some small scratches on the silver from age and wear. The pendant does not include a chain. 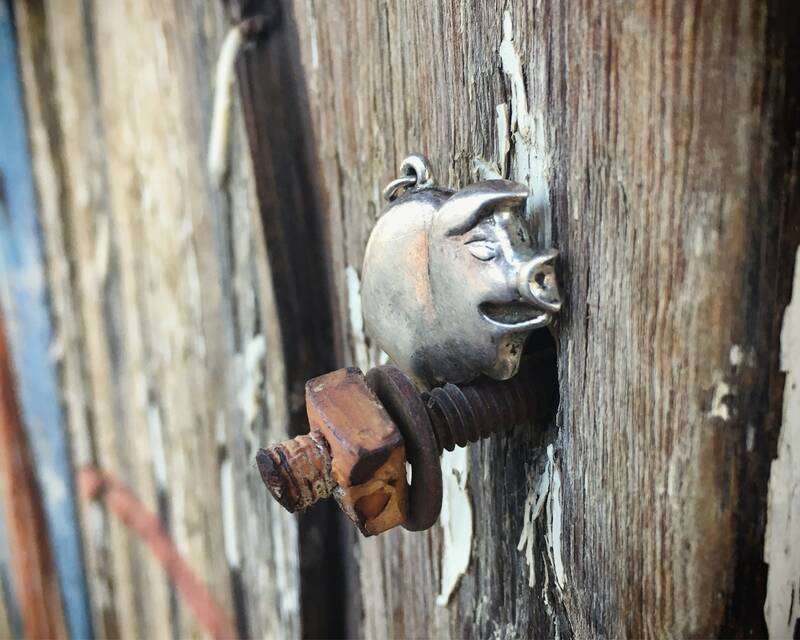 Someone will go hog wild over this little guy. Glad I found this - very cute! 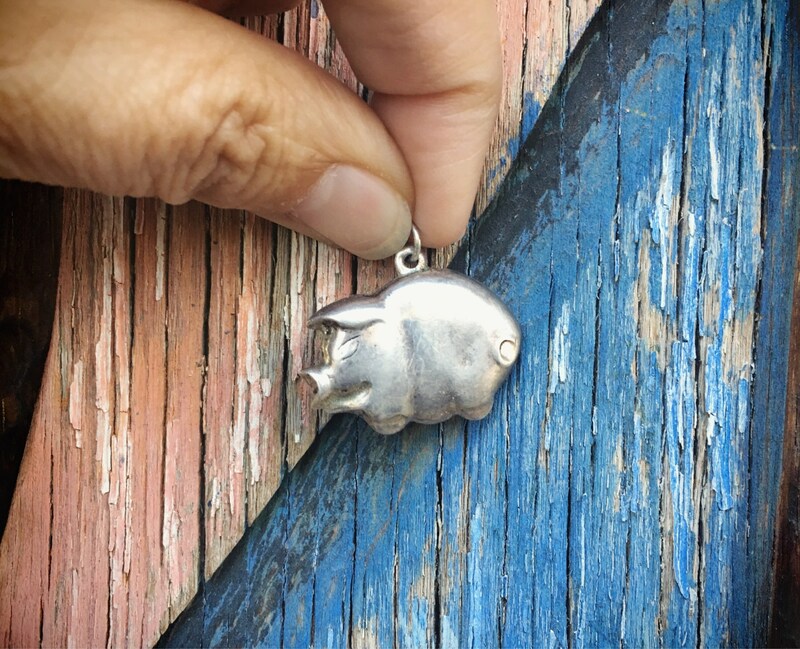 Perfect pendant for Year of the Pig gift. Also, arrived in a timely manner.